Hello and welcome to my blog! 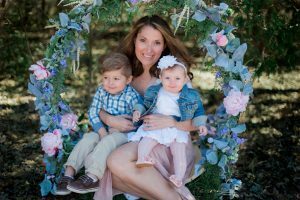 My name is Jodey and I am a proud Mama Bear to two incredibly sweet kiddos, my son Aiden (who was born in August 2015) and my daughter Reaghan (who was born in October 2017). My husband, Dave, and I live in beautiful Wellington County, Ontario with our two little ones and our very spirited dog, Maverick. I’m a baby wearing, co-sleeping mama, with a passion for natural wellness. In addition to motherhood, I love party planning, all things DIY, good vintage finds, organizing everything and anything, and travelling.